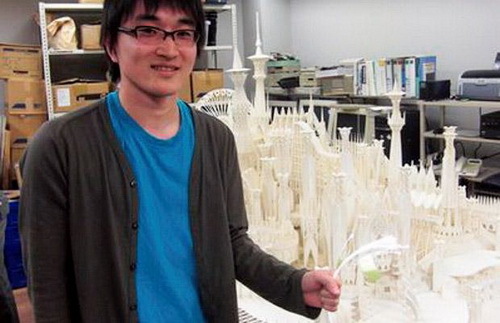 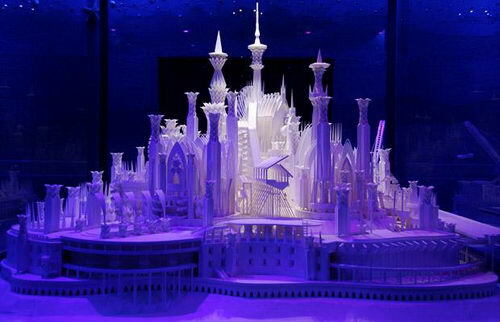 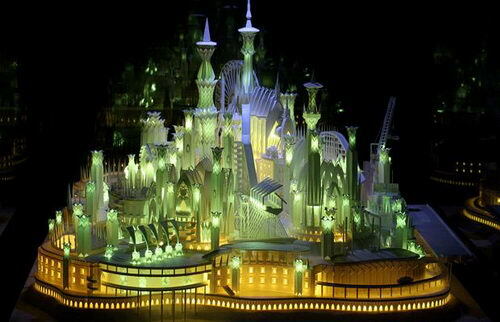 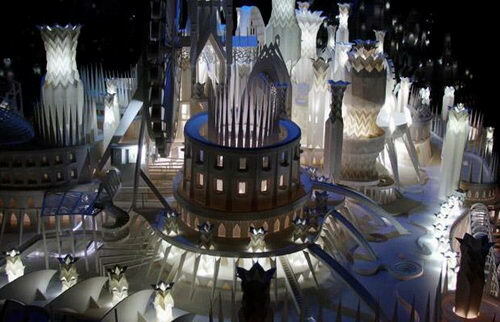 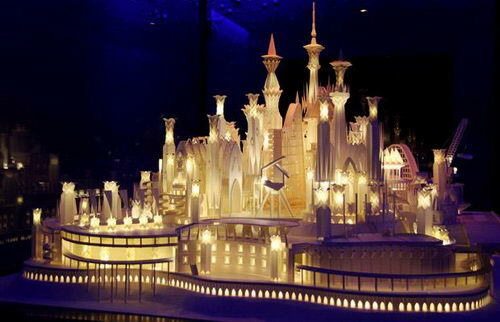 Mr Ito, 25, started building his ‘Castle on the Ocean’ when he became bored during his university entrance exams. 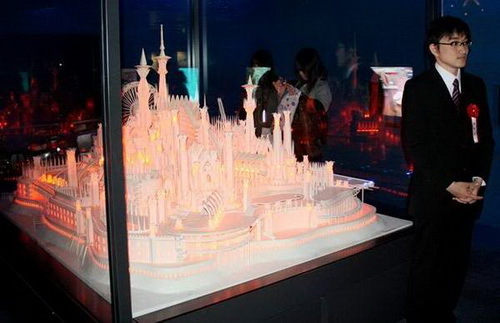 After failing the university exams three times he focused on this project, which became so large. 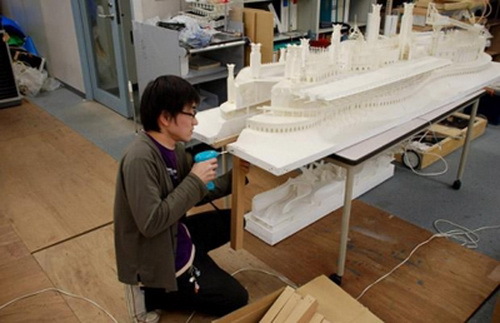 As the cityscape became more complicated, Ito had to sleep under his table inside his tiny apartment to give way for his project. 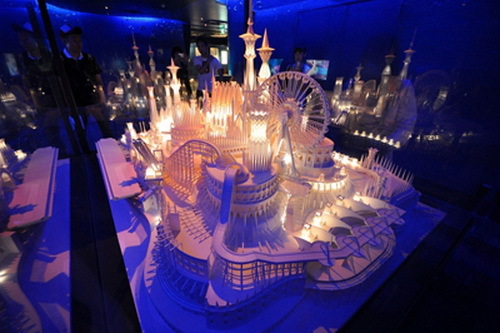 The finished piece is now being displayed for the first time at an exhibition on the artificial island of Umihotaru, near Tokyo. 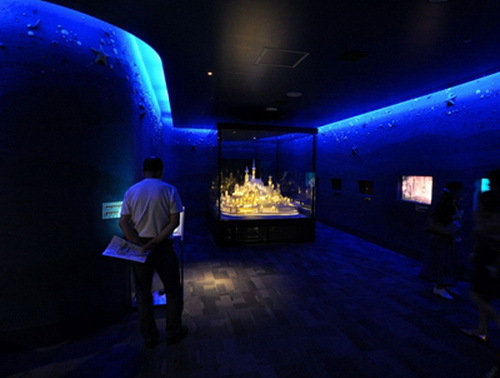 The exhibition is called Umi no Ue no Oshiro (A Castle On the Ocean). 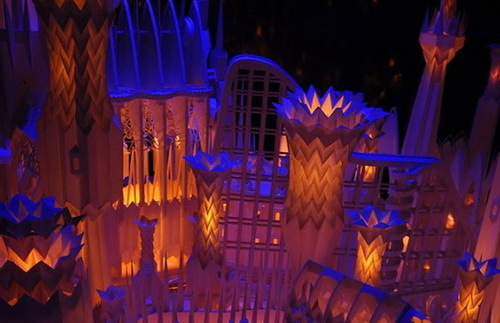 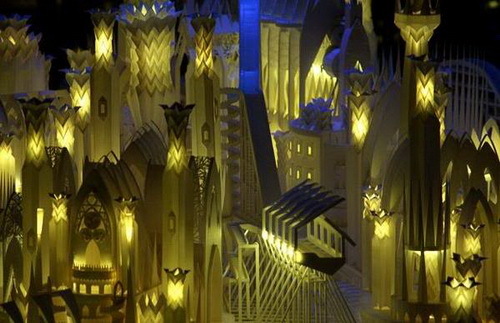 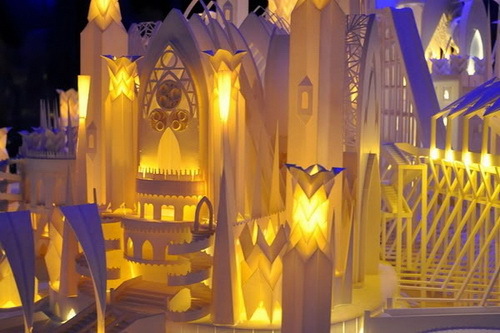 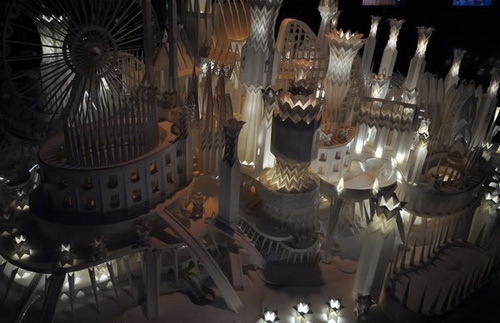 The city’s centrepiece is a castle which is loosely based upon El Temple de la Sagrada Familia (Barcelona, Spain). 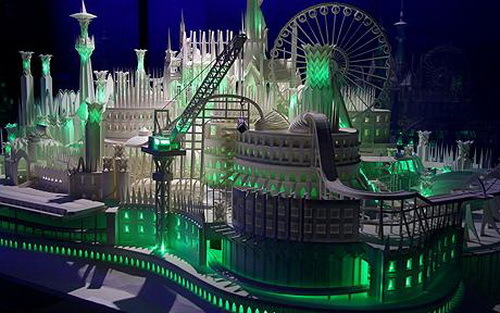 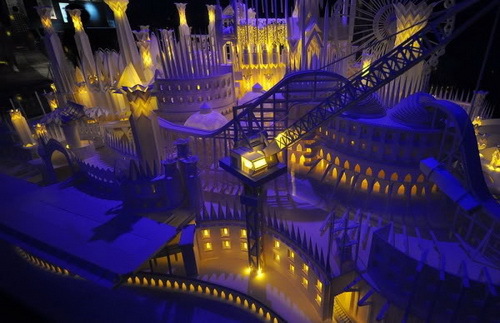 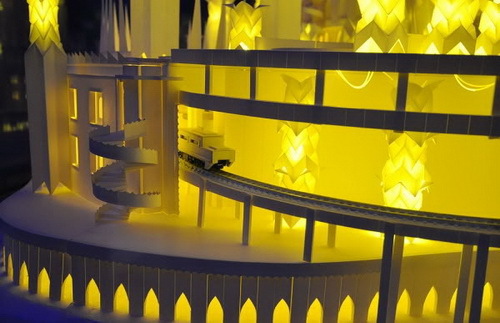 The central tower is surrounded by a cathedral, school, theme park, factory and airport and comes complete with electrical lights and a moving train.